Ken Bossong of the Sun Day Campaign crunched EIA data, comparing energy production in 2012 or the last year of President Obama's first term to 2008 or President Bush's last year of his second term. The numbers both contradict and reinforce political stereotypes. During President Obama's first term, gas and oil production surged 18.71% and 29.47%. Gas production reached record levels in 2011 and 2012. Oil production is still rocketing up, exceeding 7 million barrels per day and already at the highest levels in more than 20-years. Though gas and oil boomed, coal production dropped sharply--down 13.28%. The drop in coal production would have been even greater, except for record setting coal exports in 2011 and 2012. The fall in coal production results primarily from a massive move from coal-fired generation to natural-gas power plants. Coal power plants provided 48% of the nation's electricity in 2008 but just 37% in 2012, as they lost considerable market share to natural gas power plants. Natural gas power plants produced 30% of America's electricity in 2012. In addition to coal, nuclear power declined, dropping 4.47%. The rebirth of nuclear power that President Obama supports with major new production tax credits and loan guarantees is a flop to date. Though President Obama's effort to boost nuclear energy has failed, his embrace of renewable energy has produced major production gains. Production from all forms of renewable energy--hydro, biofuels, wind, solar, geothermal, biomass--rose 23.48% during President Obama's first term. Hydro power is by far the biggest source of renewable energy, and it grew the slowest, increasing 7.01%. While hydro power increased slowly, biofuels, wind, solar, and geothermal boomed. Biofuel production was up 40.66% and wind up 149.27%. Using the EIA data that does not include large amounts of distributed solar generation in its total, Bossong calculated that solar production rose 138.20%. In fact, the solar increase was much greater than that impressive number. America's economy, population, and refrigerators are all much bigger than they were 40 years ago. Though a new refrigerator today is bigger than one was 4 decades ago, it uses a stunning 72% less electricity. Since the 1973 oil embargo and energy crisis, a new refrigerator's annual electricity usage has plunged from about 1800 kilowatt-hours to less than 500 kilowatt-hours. This is just one example, among legions, of the power of the Great American Energy Diet that is reshaping the demand side of America's energy markets. Stunning Fact: 55% Of US Streams Are in Poor Condition But What Does Fracking Have To Do With It? The EPA has just released the draft of its first ever survey of the nation's streams. While 21% of streams were found to have good water quality, it is hard to conclude the results of the survey is good news. The EPA survey finds 55% have poor water quality due to pollution. http://water.epa.gov/type/rsl/monitoring/riverssurvey/upload/NRSA0809_Report_Final_508Compliant_130228.pdf. Not too surprisingly, there are significant regional differences, with streams in the East generally in the worst condition. So what's the main causes of poor water quality? The EPA finds that 27% of streams are polluted with nitrogen; 40% with phosphorus; and 9% had bacteria levels from sewage that made them potentially unfit for swimming. That is yucky! Mercury contaminated fish were found in 13,000 miles of streams, and 24% of streams were rated poor due to loss of vegetative cover or buffers. The importance of providing streams with a vegetative buffer is confirmed yet again. Four of the five leading causes of water pollution in the EPA survey--nitrogen, phosphorus, bacteria, and mercury--have nothing to do with gas development or "fracking." In fact, gas displacing coal in electricity generation is a major reason why mercury pollution and other toxic air pollution emissions are dropping sharply in the USA. The fifth cause of poor water quality--loss of vegetative cover or buffers for streams--is caused by development of land up to the edge of streams. At most, gas development would be a tiny contribution to this massive, national problem. Moreover the public attention on gas drilling, at least in Pennsylvania, fueled major new requirements for stream buffers. Pennsylvania adopted in November, 2010 a buffer rule for 22,000 miles of "High Quality" streams within the Commonwealth. The rule restricts development of all types--not just gas drilling--within 150 feet of streams and is among the nation's most protective buffer requirements. I had the privilege of championing that regulation that was opposed by the Pennsylvania Chamber of Business and Industry and many other business organizations but supported by drinking water utilities and environmental organizations. Arguably the leading polluter of water in Pennsylvania is acid mine drainage from abandoned coal piles and coal mines. Acidification has devastated about 5,000 miles of streams in the Commonwealth and requires tens of billions of dollars to address. Yet, nationally acidification is not a major source of pollution--damaging about 1% of streams. The draft EPA stream survey is full of interesting data and is well-worth reading. Hopefully, the survey will help the public and media to better understand what is the water quality of the nation's streams and what are and what are not the leading causes of poor water quality. Facts should matter. The sun has never shone more brightly on the US solar industry than it did in 2012, when a record 3,313 megawatts of solar was installed or 11% of the globe's solar installations. Yet, in 2013, the US solar industry will eclipse last year's record. America will install about another 4,300 megawatts of solar in 2013--producing roughly as much electricity as one nuke--and will near a total installed number of about 12,000 megawatts by the end of 2013. Given the 2012 and 2013 trend, it is almost certain that America will have more than 20,000 megawatts of solar operating by the end of 2015 and possibly nearly 25,000 megawatts. These are astonishing numbers with big implications! For example, like wind that is already driving lower wholesale power prices, solar will by 2015 have enough capacity and production in some markets, where it is especially concentrated, to put downward pressure on wholesale power prices. This downward pressure will be especially apparent in the 10% of hours when demand is highest--hot summer afternoons--that are also when wholesale power prices are currently the highest. Those hours are also the most profitable for central station power plants, and so the explosion of solar will produce winners and losers in the marketplace. A CNG fueling station in Pittsburgh is selling natural gas at the equivalent of $1.89 per gallon, while gasoline costs $3.77. Given prices like those, not too surprisingly, the CNG station has seen soaring demand, up from a tiny 2,000 gallons per month to 15,000 gallons in 1,000 monthly transactions. Business is indeed booming at the one and only CNG station in Pittsburgh. Going into the 7th year of the Marcellus boom and the 13th year of the shale revolution, the fact that Pittsburgh, in the heart of the Marcellus region, has 1 public CNG fueling station shows the missed opportunity to end our addiction to expensive and dirtier oil that still is about 40% imported. The fueling market is broken and policy has not responded to the market failure. And so we keep pumping $3.77 gasoline into vehicles when $1.89 natural gas is available. Between 1975 and 1995, a 1% increase in economic growth meant a 1% increase in electricity usage. Economic growth and electricity usage were linked and rose or fell equally. Thanks to the Great American Energy Diet, that is no longer true. The slimming down of energy use means today that a 1% increase in GDP means about a 0.4% increase in electricity usage. Now EIA projects that the relationship will weaken even further. Unlike oil that is being battered by natural gas and biofuels, electricity is not under siege from substitutes. Instead, the decline in electricity usage is principally the result of more efficient buildings, appliances, motors, lighting systems, and more. It's energy slimming at work. The Great American Energy Diet is creating new rules for energy markets, and the pace of transformation is quickening, making it difficult to comprehend what was true 5 years ago is no longer so today. The API reports that the demand for oil products fell to a 20-year low in February. Gasoline is down 3.1% and residual fuel oil used in boilers fell more than 12% compared to February 2012. Big drops. As a result of these petroleum product drops in demand, John Felmy, API's chief economist, questions the strength of the US economic recovery in the linked to article. He says: "Although there's been some encouraging news on employment and manufacturing, fuel demand is an important indicator of where the economy is--and it is headed in a different direction." Felmy is right about positive economic news. America created 236,000 new jobs in February 2013 and about 2 million from February 2012 to February 2013 so the national economy is creating enough jobs to lower the unemployment rate http://www.bls.gov/news.release/pdf/empsit.pdf. But he is almost certainly wrong that the drop in demand for petroleum products means that job creation and economic growth are lagging. The days are gone when economic growth meant necessarily similar increases in demand for petroleum products. Indeed, US oil demand peaked in 2007, while the US economy has grown every quarter since July 1, 2009. Demand for oil today is being decreased by the Great American Energy Diet and increasingly available and often lower cost alternatives to oil like natural gas, electricity, and biofuels. Indeed, oil is so expensive that falling oil demand can be a sign of a strengthening economy. Whenever expensive oil is replaced by a more fuel efficient vehicle or a switch to lower cost natural gas or electricity, the national economy benefits from new disposable income that can be spent on goods and services other than oil or energy purchases. Less oil demand also means exporting less cash to purchase the 40% of oil consumed here that is still imported. Contrary to the suggestion made by Mr. Felmy, declining, not increasing, oil consumption is becoming an important indicator of a more efficient, stronger US economy. A little more than 5 years ago, it was common to rebut wind skepticism by pointing out that Denmark got then nearly 20% of its power from wind. Today, there is no need to look across the Atlantic to find examples of wind's substantial capabilities. Right here in America, wind is providing nearly 25% of the electricity in Iowa and South Dakota. http://www.earth-policy.org/data_highlights/2013/highlights37. Those extraordinary numbers prove that wind can be a main means of powering whole states! The good, old days from 2003 to 2011, when Pennsylvania's unemployment rate was consistently below the national unemployment rate are now long gone. Starting in October 2012, Pennsylvania's unemployment rate moved above the national rate, and February's data bought more bad news. Pennsylvania's unemployment rate in February was for the fifth month in a row above the national unemployment rate (www.bls.gov). Unemployment in Pennsylvania during February stood at 8.1%, while the national rate was 7.7%. Nationally, the February rate declined from 7.9% in January to 7.7%, down 0.2%, as America created 236.000 jobs. In Pennsylvania, the unemployment rate dropped just 0.1% from 8.2% in January, as Pennsylvania continues to underperform the national economy. Worse still, Pennsylvania lost 6,000 jobs in February. Pennsylvania's poor economy is becoming a major reason why Governor Corbett is losing massive public support. The Governor's economic development policy consists of relying on the gas industry to bring prosperity to Pennsylvania, an impossible assignment for any single industry to do. Indeed, Pennsylvanians are beginning to understand that Governor Corbett's economic, energy, education, and budget policies are just not working. The number of gas drilling rigs in Pennsylvania reached 116 in the summer of 2011 but has fallen steadily, as the price of gas hit bottom in April 2012. Last week, 68 drilling rigs were operating in Pennsylvania. The current 68 drilling rigs is down from 98 in February 2012. http://www.businessweek.com/ap/2012-03/D9TOHVIO1.htm. Though the rig count is down 31%, 68 drilling rigs is still a lot. And the productivity of each rig is up, and that has moderated the decline in the number of gas wells drilled. Though the number of drilling rigs working in Pennsylvania is down 31%, the gas produced during 2012 in Pennsylvania is up 69%, as many new wells begin sending gas into the market. All that new gas contributed first to the crash in gas prices and then the decline in drilling rigs. With the collapse in gas prices in 2012, while oil prices remained high, drilling rigs moved to oil and wet gas areas of the Marcellus and the nation. Now the direction of prices has reversed. Gas is up from about $1.80 per thousand cubic feet in April 2012 to nearly $4 today. Prices in the $4 to $5 range are likely to stabilize and grow modestly the gas drilling rig count going forward. Apple Becomes A Renewable Energy Power Company: What Does It Mean? Apple now gets 75% of its total electricity and 100% of the energy for its data centers from renewable energy sources--wind, solar, biogas, hydro, geothermal. http://www.apple.com/environment/. The portion of its electricity coming from renewables has jumped from 35% in 2010. Apple is actually producing large amounts of this renewable energy on-site at its data centers and other facilities. In less than 5 years, Apple has become a renewable energy company that produces large amounts of its own power and buys still more. What does Apple's power transformation mean? First, Apple is a global icon and its example is powerful. Apple's announcement that it had reached 75% renewable energy caused an avalanche of reporting and favorable media. Apple's green plunge is noticed. Second, Apple's substantial on-site generation is another example of the steady erosion of the grid itself, as solar and fuel cells pose a growing threat to the big central station producing power delivered over a massive transmission system. Third, Apple's rapid green power transformation shows how easy and quick it is to become a renewable energy company almost anywhere around the globe. Costs for renewable energy are down and falling more, making the path Apple blazes even easier to follow. Fourth, Apple is a ultimately a brand, a retailer. Image is all-important and powerful. Sleek, cool, and clean are all part of what Apple projects, and using renewable energy reinforces these brand characteristics. Apple's embrace of renewable energy reveals just how powerful renewable energy already is and how it is shaping the future. Last year was an extraordinary year for natural gas in the USA, and Pennsylvania was a main reason. America set a new record for annual gas production and the gas price collapsed to about $2.73. Neither would have happened without a stunning jump in Pennsylvania gas production. Pennsylvania's gas production jumped 69% and averaged 6.1 billion cubic feet per day during 2012. That was an increase of 2.5 Bcf/d over the 3.6 Bcf/d average during 2011 and helped to shape 2012. As big as Pennsylvania's production was in 2012, its daily production today is even higher in Pennsylvania, probably more than 7 Bcf/d. And production in the whole Marcellus region is now at 9 Bcf/d and on its way to 10 Bcf/d. Though Pennsylvania's gas production soared in 2012, the number of gas wells drilled plunged by 33% when compared to 2011. A gas price below $3 will do that. But that 2012 low, low price is already gone, at least for now and likely the remainder of 2013. Wind is providing 10% or more of the power in Oregon, Minnesota, and Colorado--three Blue States with good wind resources. Wind's success in such states where mother nature and the political climate for wind is positive is not surprising. But wind also now produces 10% or more of the power in Oklahoma, Kansas, and Idaho. All three of those states would rank among the 5 Reddest of Red states. Wind is also near the 10% mark in Texas--the heart of the oil and gas industry. Wind is proving that it can thrive in all political climates from deep Blue to bold Red. Most impressively, wind is now providing nearly 25% of Iowa's and South Dakota's power. http://www.earth-policy.org/data_highlights/2013/highlights37. Indeed, wind is thriving across America. Yesterday's successful launch of the Center For Sustainable Shale Development (CSSD) in Pittsburgh is a game changing event for shale gas development. Simply put, as is the case with forestry products now, gas consumers will increasingly demand that the gas they buy be certified as sustainably produced. Ultimately, it will matter not that individual gas producers like or dislike CSSD. What will be decisive is that consumers of gas from Washington DC to Maine and from New York to Chicago will demand that their gas is certified as sustainably managed. For example, I suspect that Mayor Bloomberg and many other political, business, and regulatory leaders are already exploring when and how they will get CSSD certified gas. Again, in forest products, timber certified as sustainably grown is almost an imperative for success in the US marketplace. Crucially, compared to the attention paid to forest management issues, the public attention paid to shale gas dwarfs forest stewardship. Indeed, the public concern about shale gas development is so intense that electricity generators and competitive retail electricity suppliers will jump or be pushed to use increasingly CSSD certified gas in the making of electricity. And power production is a vital market for gas producers. Consumer preferences and this powerful market demand means that smart gas producers will join Consol, Equitable, Shell, and Consol in improving their gas production operations so that they can earn CSSD certification. Whether gas producers like CSSD or not, CSSD just changed fundamentally their business world by empowering consumers to decide what gas they will buy and what gas they will not. The United States Bureau of Labor Statistics reports that green jobs in 2011 totaled 3,401, 279.
http://www.bls.gov/news.release/ggqcew.nr0.htm. Green jobs grew by 157,746 and reached 2.6% of all jobs. More impressively, though only 2.6% of total jobs, green jobs amounted to about 9% of the 1.8 million jobs created in 2011. The BLS definition of green jobs is broad and includes, for example, those employed at public transit agencies. Most green jobs, however, are in the private sector, where 2.515 million were counted, while 886,000 were public sector positions. Green jobs matter today, and their fast growth rate means that they will matter more tomorrow. The solar genie is well and truly out of the bottle. And sharply falling solar prices mean that it will never be bottled up again. In 2012, US installed solar prices fell 27% to an average of $3.01/watt, down from the 2011 price of $4.10. http://www.seia.org/research-resources/us-solar-market-insight-2012-year-review. Utility scale solar projects averaged $2.27/watt, down from $3.20/watt in 2011. A key energy policy in the USA has been to drive down the price of solar power. Its happening more quickly than anyone thought possible 5 years ago. At this point, rooftop solar could soon cost less than $3/watt and utility scale solar less than $1.50/watt. Those are tipping point prices, especially since every year a watt of solar generates more electricity! The new Center for Sustainable Shale Development (formerly the Institute for Gas Drilling Excellence) will hold a press conference today at 1pm at the offices of the Heinz Endowments in Pittsburgh. The Center's mission is to provide independent evaluations of gas producing companies performance. The evaluations will determine whether a company's performance complies with 15 operating standards adopted by the Center. The 15 standards fall into three categories--water protection, climate protection, and air protection. I chaired a process that began in the Spring of 2011 that led to adoption of the standards in the Fall of 2012 by what was then called the Institute For Gas Drilling Excellence. The standards were developed through comprehensive discussion and work over 18 months by 6 non-government organizations and 4 gas producers. They were unanimously adopted. The Center is an independent organization with a diverse board. On the 12 person board are the Heinz Endowments, EDF, Clean Air Task Force, the Pennsylvania Environmental Council, EQT, Consol, Chevron, Shell, and then 4 independent directors who have incredibly impressive backgrounds. The organization is not controlled by non-government organizations or by gas producers. The goal of the Center is to improve the operating and environmental performance of companies that produce shale gas and reduce environmental impacts by better operations. The Center's creation poses this important question to every company drilling for shale gas: Will you file an application for certification and be evaluated by the Center? Some leading companies are answering that question affirmatively. And so the question for all companies will become, if you have not yet sought certification from the Center when other companies have done so, why have you not sought and received certification of your operations as meeting the standards established by the Center? Today's 1pm press conference at the Heinz Endowments office will be an important event. This is one ranking no state wants to win. But Pennsylvania's unemployment rate rose more than any other state from January 2012 to January 2013. Pennsylvania's unemployment rate jumped from 7.6% to 8.2% from January 2012 to January 2013.
http://www.bls.gov/news.release/laus.t03.htm. That 0.6 percentage point increase was more than the 0.5 percentage point increase in New Hampshire that had the second highest unemployment rise. Only 7 states suffered from a rising unemployment rate in the period. Pennsylvania's unemployment rate also climbed from 7.9% in December 2012 to 8.2% in January 2012. The national unemployment rate in January 2013 was 7.9%. After being normally well below the national unemployment rate from 2003 to 2011, Pennsylvania's unemployment rate has been higher or equal to the national average since October 2012. Those are ugly facts for Pennsylvania, and they are reality, despite the gas boom that has made the Marcellus America's biggest gas producing field. Gas alone cannot bring prosperity to Pennsylvania. No single industry can. Unfortunately, Governor Corbett's administration fails to understand Pennsylvania's economy and ugly facts result. The drought has been especially severe in Texas, and there the cattle herd has fallen by 1 million head or 20% in just 2 years. http://agebb.missouri.edu/mkt/bull12c.htm. So while the wind business in Texas is roaring, the Texas cattle business is wilting. The Marcellus is now America's biggest gas producing field that provides already 9 billion cubic feet per day and soon will produce an amazing 10 billion cubic feet per day. Gas principally from Pennsylvania but also West Virginia and Ohio now totals about 15% of America's daily gas supply. Incredible. These incredible, actual production numbers also again refute assertions that the Marcellus or shale gas is a Ponzi scheme. The idea that shale gas is a Ponzi scheme will join the long list of false, vampire-like conspiracy theories such as the moon landing was faked. Marcellus production will hit 10 billion cubic feet per day in 2013, even though gas prices for the last two years have been below $4 and averaged about $2.73 during 2012. Amazingly, production is still going up, despite about a 35% reduction in drilling in Pennsylvania during the first 6 weeks of February 2013 compared to the same period in 2012. And now that gas prices have approximately doubled from their April, 2012 low and are approaching $4 again, the pace of new gas drilling may well quicken. At this point, gas production from the Marcellus is so big that it is shaping the entire American natural gas market. And all signs point to it playing that pivotal role for many years to come. The wind boom in Texas keeps rolling. With another good year for new wind farms in Texas during 2012, Texas saw its wind capacity rise 18% and reach 12,200 megawatts. Though Texas is not a country, despite what some Texans think or wish, were Texas a nation, it would rank 6th in the world in total wind capacity. China, US, Germany, Spain, and India rank 1 through 5. Then comes Texas. http://www.earth-policy.org/data_highlights/2013/highlights37. ERCOT is the grid operator for the vast majority of Texas, and wind provided 9% of all the power delivered to consumers within Texas during 2012 and may soon provide more than 10%. Those numbers make wind a force that drives down power prices within Texas. It also has added power to the ERCOT grid during a period when ERCOT has been scrambling for every real-time kilowatt-hour it can find to keep the lights on. The size of wind in Texas makes it a global player. For sure, wind matters--a lot--in Texas, our second biggest state. The history of technology both destroying and creating wealth may be repeating itself with Japan's gas hydrates breakthrough and American LNG exports now on a collision course. Here is the rest of the story. In 2005 the USA was facing a natural gas shortage, and big dollars were being invested in facilities that would import LNG. At that point, shale gas was being produced, but very few understood its implications. By 2009, booming shale gas production turned a gas shortage into a gas glut and creatively destroyed billions of dollars invested to import LNG. The boom in US gas production has birthed a rush to invest billions in facilities to export natural gas. Today, a particularly attractive market for LNG exports is gas-poor Japan and Asia, where gas is priced as much as $16 per thousand cubic feet. But gas exports won't make it across the Pacific for about another 5 years. As the shale gas boom in the US shows, a lot can happen in 5 years that turns markets upside down. Indeed, that may have happened just last week. Last week's news that Japan successfully produced natural gas from oceanic hydrates could make Japan and many other nations gas rich for the first time in human history. http://www.nytimes.com/2013/03/13/business/global/japan-says-it-is-first-to-tap-methane-hydrate-deposit.html?_r=0. The Japanese believe that they may be able to produce oceanic gas commercially within 5 years and by so doing escape expensive gas and end their need for LNG imports. For investment in America pouring into LNG export facilities that are supposed to begin operating in about 5 years, last week's technological advance to produce gas from ocean hydrates is a brand, new risk. How big a risk only time will tell. But Japan's oceanic hydrate breakthrough may well crush America's LNG exports to it and other nations in the currently lucrative Asian gas market. The Great American Energy Diet is cutting lots of BTUs in transportation, where fuel efficiency rose 16% since 2007 and jumped 1.4 miles per gallon in 2012. Impressive gains already and more are ahead. Combined with growing oil substitutes like natural gas, electricity, and biofuels, fuel efficiency gains to date have driven US oil consumption down from its 2007 peak to the 1995 level. Total energy consumption also is back to the 1999 amount. But bigger fuel efficiency gains are coming. EPA projects that fuel efficiency will improve nearly 2 miles per gallon on average every year from 2013 to 2025. Slimming down energy consumption for transportation is a big part of why the Great American Energy diet is gaining momentum! The facts overwhelmingly document that the total amount of air pollutants going into Pennsylvania's air fell substantially between 2008 and 2011. And this good news happened, mainly because of gas displacing coal to make electricity and because of more coal plants being retrofitted with modern pollution controls. More renewable energy and energy efficiency also helped. http://thebreakthrough.org/index.php/programs/energy-and-climate/deadly-air-pollution-declines-thanks-to-gas-boom/. Using Pennsylvania Department of Environmental Protection data in the table in the linked to story, I calculated the portion of the statewide total air emissions from point sources for the 5 pollutants in the table for which gas production itself is responsible. For sulfur dioxide, as of 2011, gas production was responsible for essentially 0% of the statewide total from point sources, since producing gas emitted 122 tons of sulfur dioxide out of a statewide total of 353,480 tons. For soot, natural gas production emitted in 2011 3% of the statewide total from point sources. It is important to note that soot also is pumped into the air from transportation sources and so gas production emitted less than 3% of the total soot discharged into our air. For carbon monoxide, natural gas production accounted for 8% of the statewide total from point sources. For nitrogen oxides, natural gas production was responsible for 9% of the statewide total from point sources. And for volatile organic compounds, natural gas production emitted 14% of the statewide total from point sources. Two further points should be made. Gas production is concentrated in particular counties. As a result, in some counties gas production likely emits more volatile organic compounds or nitrogen oxides than any other point source. Most importantly, air pollutants from gas production can be slashed by up to 90% by requiring the installation of the best available pollution controls at compressor stations, green completions, not using diesel to operate engines, and excellent maintenance programs. Regulators and the gas industry itself should implement these available pollution control measures and cut further the environmental footprint of gas. Growth in electricity usage and growth in America's economy used to be tightly linked. A 1% increase in GDP led to a near 1% increase in electricity usage. But in another sign of the great American energy diet at work, the link between economic growth and growing electricity demand is weakening and may soon snap, according to Duke Energy's CEO. Duke Energy's CEO, Jim Rogers, says that a 1% increase in GDP now leads to an 0.4% increase in electricity demand and is still weakening. Soon the American economy may well grow without using much more electricity. That would be an amazing change of a longstanding, key fact in the energy world. The march of technology may have just turned the energy world on its head. The New York Times reports that Japan successfully produced gas from seabed hydrates. That's a world first with big implications! http://www.nytimes.com/2013/03/13/business/global/japan-says-it-is-first-to-tap-methane-hydrate-deposit.html?_r=0. A Japanese official also estimated that commercial production of oceanic hydrates may be possible in 5 years. If the Japanese can commercially produce oceanic hydrate gas within 5 years, the energy world will be turned upside down, since oceanic hydrates have enormous amounts of natural gas. For example, Japan alone has about 273 trillion cubic feet of hydrate gas. With that gas on line, Japan would say good-bye to LNG imports and possibly the 20% of its energy now coming from coal. Commercially producing ocean hydrate gas would flood the globe with enormous amounts of gas that may well devastate investments in gas export facilities in the USA and elsewhere, since ocean hydrates are distributed around the globe. Indeed, building a typical gas export facility takes about 5 years, exactly the period of time that it may take Japan to commercially perfect hydrate gas production. The gas in ocean hydrates likely dwarfs shale gas reserves and so commercially producing ocean hydrate gas could cause gas to supplant both coal and oil in many countries around the world. Such an age of gas could also impact wind, solar, biomass, biofuels, and hydro, depending on national policies concerning renewables, and depending on whether large price declines continue in the solar and wind industries. The impact of gas hydrates on atmospheric concentrations of carbon emissions would depend on three big factors or questions. Can the production of hydrate gas be done with little leakage? Would hydrate gas replace coal and oil or nuclear and renewable energy? And can carbon capture and storage technology be commercially deployed at gas-fired power plants and other major industrial users of natural gas? All the implications of Japan's successful research gas production from ocean hydrates are not clear today. But they are many and big. Japan's technological success in producing gas from ocean hydrates is a huge story that may well transform the energy world. The global atmospheric concentration of heat trapping carbon dioxide jumped 2.67 parts per million in 2012 to 395.5 ppm. The 2012 increase was the second biggest annual increase since records began. http://www.esrl.noaa.gov/gmd/ccgg/trends/#mlo_full. Global concentrations are likely to exceed 400 ppm in 2014 or 2015 at the latest. The atmospheric concentration of heat trapping carbon dioxide rose in 2012, as huge carbon emission increases in China, India, and other nations overwhelmed a substantial decline in US energy related emissions that are back to 1995 levels. Indeed, NOAA tracks every year the atmospheric concentration level of carbon dioxide and it has been increasing at an annual rate of a little less than 2 parts per million. The data is there for all to see and to see how human activity is increasing carbon concentrations each and every year. And not one reputable scientist disputes that carbon dioxide traps heat. If it did not or the atmosphere had too little carbon dioxide, earth would be an ice ball. And the reverse is true too. If carbon dioxide dumped into the atmosphere in amounts that keep raising its atmospheric concentration, then our atmosphere will trap more and more heat. Atmospheric concentrations of carbon directly affect temperatures, and temperatures have already increased over the last 200 years as the atmospheric concentration of carbon dioxide rises. That's why our climate has already changed and more change is ahead. Denial or pretending otherwise is irresponsible and unwise economically and environmentally. The total emissions of 5 leading air pollutants in Pennsylvania fell dramatically from 2008 to 2011. Encouragingly, soot being dumped into the air fell 27% and sulfur dioxide pollution fell an astonishing 70%. http://thebreakthrough.org/index.php/programs/energy-and-climate/deadly-air-pollution-declines-thanks-to-gas-boom/. The amount of carbon monoxide, nitrogen oxides, and volatile organic compounds (VOCs) also dropped substantially. These statewide, total declines in pollution from point sources within Pennsylvania will prevent illnesses and premature deaths. Soot is really dangerous to human health, and its reduction should be especially celebrated. And so the drop in pollutants is great news, and Pennsylvania will receive even better news when data is available for 2012. The question becomes, why is Pennsylvania's pollution dropping so sharply? The answer is primarily scrubbers installed on coal plants (something the BreakThrough Institute ignored in the linked to piece) and switching from coal to cleaner burning natural gas. Though the statewide data is encouraging, it is also important to look at regional or local air pollution loads. While Pennsylvania's overall emissions of air pollutants are falling substantially, some areas where gas drilling is concentrated do have significant new sources from gas production of nitrogen oxides and volatile organic compounds. Gas production statewide emitted 16,542 tons of nitrogen oxides or about 8% of Pennsylvania's 2011 point source total, 2,820 tons of volatile organic compounds or 14% of the total, and 6,852 tons of carbon monoxide or 8% of the total. Those are significant amounts in the statewide data and can be a real local air pollution problem in some circumstances. It should also be noted that gas production contributed about 0% of Pennsylvania's total soot and sulfur dioxide pollution. And soot is the most serious threat to human health. While using more natural gas is helping to reduce the total emissions of leading air pollutants, regulators and the industry should install the best available technology on compressor engines, drilling rigs, fracking pumps, well completions, and other main sources of air pollution from gas drilling. Such measures can reduce air emissions by 90% from gas production. By installing the best available pollution controls and avoiding diesel to fuel engines during gas production, Pennsylvania can gain substantial statewide air benefits, without creating local air pollution problems. Cutting local air emissions from gas production is possible and must be done. The great American energy diet is shrinking how much energy Americans use. Collectively we are back to 1999 levels of energy consumption, a time when America had 40 less people in it. But that total decline conceals important consumption ups and downs for each major energy source. Simply put, consumption of natural gas, wind, and solar is rising strongly, while coal and oil usage drops significantly. http://www.eia.gov/totalenergy/data/monthly/pdf/sec1_7.pdf. The shrinking energy pie is intensifying competition between fuels for market share. Last year saw America use record amounts of natural gas, wind, and solar. For each of them, 2012 was a great year for usage. Yet, for coal and oil usage, 2012 saw consumption drop to 1985 and 1995 levels. Nuclear power reached record production levels in 2010 but was about 6% below that record level in 2012. One result of the shift to gas, wind, and solar and from coal and oil is sharply falling carbon emissions and sharply declining sulfur dioxide, nitrogen oxide, mercury, soot, and other air pollutants. America's air has not been cleaner in decades! I am glad to say that I lead 41% to 34% Tom Corbett in the race for Pennsylvania Governor, according to Public Policy Polling. http://www.publicpolicypolling.com/main/pennsylvania/. In January, 2013, I trailed Corbett by 41% to 37% so I have gained 4 points, while Corbett has lost 7 points, during the last two months. The net swing to me is 11 points. www.hangerforgovernor.com. Early donations are especially helpful. Corbett's disapproval rating is now 58%, making him the third most unpopular Governor in the nation, with only the Governors of Illinois and Rhode Island more unpopular. Pennsylvania's Unemployment Rate Rises Again, Jumping To 8.2% From 7.6% In 12 Months! The disastrous management of Pennsylvania's economy and state budget pushed the state unemployment rate to 8.2% in January up from 7.9% in December. That's bad enough. But it gets worse. During the last 12 months, Pennsylvania's unemployment rate jumped from 7.6% in January 2012 to 8.2% in January 2013. http://www.bls.gov/news.release/archives/laus_03132012.htm. Pennsylvania is likely the worst performing state in the country during the period. Governor Corbett took office in January 2011, when the state unemployment rate was 8.2% and the national rate was 9.0%. In January 2011, the state unemployment rate was well below the national rate of unemployment and was for nearly all of the Rendell Administration. The days when Pennsylvania's unemployment rate was routinely lower than the nation are gone, thanks to the Corbett Administration's series of mistakes. Two years after Corbett took offices, as of January 2013, the national unemployment rate had fallen from 9.0% in January 2011 to 7.9%. By comparison, Pennsylvania's rate of unemployment had not fallen at all. It was 8.2% in January 2013, exactly the same as in January 2011. Moreover, the unemployment trends in Pennsylvania were worse in January 2013 than in January 2011 when rates were heading down. Things are headed in the wrong direction now. Indeed Pennsylvania's unemployment rate went up considerably over the last 12 months. Pennsylvania's tragically bad unemployment numbers prove that Governors make a difference for better or worse. In Pennsylvania, Governor Corbett has made things much worse. Corbett's failure is rooted in the fact that the Governor--a career prosecutor--does not understand the economy and how state government's actions and decisions create and keep jobs. The Governor actually believes that the gas industry by itself can bring broad prosperity to Pennsylvania. He actually believes attacking public education and state universities creates jobs. And he actually believes missing two construction seasons, without a transportation plan, helped the economy. Unfortunately, the Governor is tragically wrong on jobs and the economy. Uncle Sam may be breaking his addiction to oil. Last year, US oil consumption fell to 1995 levels. http://www.eia.gov/totalenergy/data/monthly/pdf/sec1_7.pdf. That's a remarkable decline, especially considering the US population was 262 million in 1995 or about 50 million less than today! The decline in US oil consumption contributes to the fall in total US energy consumption to 1999 levels. The drop in oil consumption results both from rising efficiency in oil usage and from increasingly successful oil substitutes like natural gas, electricity, and biofuels. Paradoxically, as America uses less oil, it produces more than it has since 1992, with daily production now above 7 million barrels. The powerful combination of falling demand and rising domestic production is slashing US oil imports and making the US a net exporter of refined petroleum products like gasoline. Falling US demand and surging domestic production, however, is not powerful enough to lower oil prices that are the product of global demand and production. The good news in America is not enough to offset booming global demand that is straining global supplies. As a result, Americans paid in nominal dollars record gasoline prices in 2012 and about 4% of median income. Despite the progress made in reducing demand for oil, oil remains the single largest source of energy for America. Americans consumed about 35 quadrillion BTUs of oil in 2012 or about twice as much oil as coal. Though more needs to be done, by cutting consumption to 1995 levels, America is headed toward freeing itself from the dangers of its still too heavy reliance on oil. The most impressive thing about the February 2013 green car sales is the incredible number of different green car models available today. Long gone are the days when the Prius was just about the whole green car category. Toyota, Honda, Ford, General Motors, and Nissan offer multiple, attractive green cars. More than 48,000 green cars sold in February, 2013, up 15% compared to February 2012. Impressively, sales increased, even as the Prius, the world's third largest global seller, had a bad US sales month. Increasing green car sales, despite poor numbers for the flagship Prius, shows the strength and diversity of the green car market. Green cars have a chance to become more than a niche! Uncle Sam's Energy Diet Is Working: US Energy Consumption Falls To 1999 Level! Reporting focuses on booming domestic oil and gas production, but the biggest energy story of our times may well be the stunning drop in America's thirst for energy. Americans are using less and less energy, even though our population and economy grows. Though record levels of natural gas, wind, and solar were produced in 2012, and though domestic oil production is at its highest level in 20 years, America in fact consumed about as much energy in 2012 as it did in 1999. Stunning, indeed! Last year total energy consumption was about 96 quadrillion BTUs. http://www.eia.gov/totalenergy/data/monthly/pdf/mer.pdf. Back in 1999, America's population was just 272 million or 40 million less than today. http://www.demographia.com/db-uspop1900.htm. But today we use less energy than then. Back in 1999, America's Gross Domestic Product was about $8.6 trillion but more than $15 trillion in 2011. But today we use less energy than in 1999. The drop in total energy is a result of a structural shift downward in energy demand. Policies requiring more energy efficient cars, homes, appliances, motors, lighting are working and gathering momentum. Policies requiring more and more utilities to invest in energy conservation so their consumers can reduce consumption and save money are working and gathering momentum. Policies putting energy efficiency and demand response on more equal footing with building new power plants in wholesale energy markets are working and gathering momentum. The icing on that policy cake is a growing ethic of saving energy among more and more Americans. Americans are becoming frugal about energy use to save money and to protect our environment. When it comes to energy, more Americans are remembering Benjamin Franklin's wisdom that "a penny saved is a penny earned." All that adds up to Uncle Sam's successful energy diet, the biggest energy story that remains little noticed. Even as coal usage grew rapidly around the world and rebounded in Europe, the consumption of coal in the USA dropped sharply in 2012. Data for the first 11 months of 2012 shows that coal consumption likely fell last year to 1985 levels. http://www.eia.gov/totalenergy/data/monthly/pdf/sec1_7.pdf. US consumption of coal was 15.9 quadrillion BTUs through the first 11 months of 2012 and will end at about 17.6 quadrillion BTUs for the full year. Again, that means the US consumed about as much energy from coal in 2012 as it did in 1985! The vast majority of coal is used in the USA to make electricity. And so the drop in coal production results primarily from a massive shift to natural gas to make electricity. For example, the electricity generation market share of coal has fallen from 48% in 2008 to 37% in 2012. In December 2012, America no longer was the world's biggest importer of oil. China was. That's great news for the US! Let the Chinese become the most oil import dependent nation in the world. America's net oil imports are being driven down by surging domestic oil production, surging substitution of oil by gas, biofuels, and electricity, and surging efficiency of oil usage. The result is falling oil imports and falling oil consumption in the US. That's great medicine for our economy, environment, and national security. A big energy player is noticing small solar and opens its checkbook. Seeing rooftop solar surging, Duke Energy, America's largest electricity utility, is exploring going big into the solar installation business. Rooftop or distributed solar is approaching a 2,000 megawatts or about a $8-$10 billion per year business and is cutting demand for grid power provided by Duke Energy and other electricity utilities. Small solar is already big enough to bite utility companies that need growth in demand for earnings. Moreover, demand for small solar systems is surging and its bite out of electricity throughput over lines is skyrocketing. Jim Rogers can see the dawning of the solar and distributed future that will cannibalize the grid. Sitting still and getting eaten alive is not a smart business strategy. Rogers follows David Crane, who was the first Chief Executive of a big power company to position his company to gain major market share in an energy world that will have its grid foundation broken by small solar systems and possibly fuel cells over the next 20 years. Stunning Fact: USA Has $1.63 Billion Solar, Wind, Smart Energy Trade Surplus With China! The Chinese overall have a whopping trade surplus with the US, with the Chinese exporting $4 to the USA for every $1 the US exports to China. But Uncle Sam's huge trade deficit with China turns into a $1.63 billion trade surplus in 3 surprising categories--solar, wind, and smart energy--in the latest available data. While the Chinese make solar panels and export them to us, we send to them high value inputs like capital equipment and polysilicon and wafers used to make solar cells. In fact, during 2011, the US had a $913 million solar trade surplus with China. Surprising and good news, indeed. The USA also had a $571 million surplus on smart energy products, mainly from capital equipment for the manufacture of light emitting diodes (LED), and even a $146 million wind surplus. The Pew Report found the total clean energy trade between the USA and China amounted to $8.5 billion. These numbers remind that clean energy is even a big export business for the USA. Judged by the amount of time Americans sit in the dark without power each year, America's electricity grid is about 20% less reliable. Time in the dark is up from 94 to 112 minutes per year, according to the AP. In fact, the 112 minutes in the dark understates probably considerably how much time on average Americans sit in the dark each year, because the number does not include time without electricity service due to mass outages from the increasingly extreme storms like Sandy that are the new normal. Just in the last two years, tens of millions of Americans have lost service for many hours or a day. Millions of Americans have lost service for days. And hundreds of thousands have lost service for weeks and months due to extreme storms ravaging an unprepared grid. Quite possibly BNSF, Warren Buffett's railroad, will take the biggest step yet to switch from oil to gas for transportation. Russell Gold of the Wall Street Journal reports that BNSF is working to begin switching all of its 6,900 locomotives from expensive, dirty diesel to cheap, cleaner natural gas, starting next year. BNSF is reportedly the second biggest user of diesel in the USA, ranking only behind the Navy. The railroad industry uses 6% of all diesel. Gold makes clear that the primary reason for the switch is the price difference between natural gas and diesel. Gold states that diesel costs about $4 per gallon, while industrial gas is available for 42 cents for an equivalent amount, without including cooling costs to convert gas to LNG. Interestingly, a second factor pushing BNSF to look at using natural gas is looming EPA rules in 2015 that will require expensive retrofits of locomotives if they are to continue burning gas. Here is yet another example of how stronger EPA rules benefit natural gas,. It remains stunning that the natural gas industry has done virtually nothing to support the various Obama EPA's regulations that can substantially impact positively or negatively the demand for natural gas. One consequence of that neglect has been rules that benefit natural gas but less than they could have. Deutsche Bank raises its 2013 global solar build to 30,000 megawatts for an energy world shaking reason. Deutsche Bank finds that solar power is now cost competitive with electricity from the grid in India and Italy. It further concludes that solar will be cost competitive with electricity from the grid during 2014 in more parts of the world. When solar becomes first cost competitive with grid power and then cheaper than grid power, solar shakes the energy world. It becomes creatively destructive like shale gas. In the US, distributed solar today is competitive with grid power in about 20% of utility service territories. Not too surprisingly, as solar becomes competitive with grid power in more places around the world, the amount of solar installed climbs. Paradoxically, falling solar costs are leading to thriving solar installation markets, even as falling prices create a battle for survival among solar manufacturers. To advance their view that solar is a failed industry, Fox News, the Wall Street Journal editorial page, and the like focus on the bankruptcies in solar manufacturing, while ignoring the record breaking solar installation numbers in the USA and around the world. In fact, solar power is rising around the world, as solar prices increasingly first reach grid parity and then become cheaper than power from the grid in more and more places. The Marcellus gas reserve is the second biggest in the world and has been producing gas and jobs since 2007. Unlike New York, where a moratorium is in place, Marcellus shale gas is flowing and jobs have been created in Ohio, West Virginia, and Pennsylvania. Interestingly, the 2012 average annual unemployment rate in Ohio and West Virginia fell significantly but it did not fall at all in the third Marcellus state--Pennsylvania. Here are the facts. Ohio's average annual unemployment rate fell from 8.6% in 2011 to 7.2% in 2012. West Virginia's fell from 7.8% in 2011 to 7.3% in 2012. By contrast, Pennsylvania's unemployment rate did not fall at all, staying stuck at 7.9%. The numbers show that Pennsylvania is the worst performing economy among the three Marcellus states and is among the 4 worst performing in the nation, since 46 states had a falling unemployment rate in 2012 and the national rate declined 0.8%. By the way, both Ohio and West Virginia have gas drilling taxes, and Governor Kasich in Ohio seeks to raise the existing drilling tax as part of a tax reform package. By contrast, Governor Corbett has refused to enact a drilling tax and begrudgingly accepted an inadequate impact fee. No doubt gas production is creating wealth and jobs in all three states, but in Pennsylvania a series of budget, tax, and economic mistakes in the last 2 years have squandered and swamped the gas boom for the state as a whole. The Dow set a new record high yesterday, closing at 14,253. The Dow is up nearly 7,800 points or about 120%, since it hit bottom at about 6,500 on March 9, 2009, after a terrifying plunge throughout 2008 from its previous high set in 2007. In March 2009, the Dow judged a depression had been avoided. President Obama, Ben Bernanke (a Republican and President Bush appointee), Secretary Geitherner and legislative leaders who rounded up tough votes for the automobile intervention and stimulus bill stopped the crash and have allowed the stock market to boom. In fact, the stock market, the heart of capitalism, loves President Obama. That's what the numbers show. But as the stock market set its all-time record, Senator Grassley was slamming the President for socialism. Of course, Senator Grassley is a fierce proponent of government policies supporting corn ethanol and federal farm policies that include crop insurance, disaster payments, and crop subsidies. If President Obama is a socialist, so is just about every member of Congress. And for the last 4 years the stock market has delivered its market judgment on President Obama and Ben Bernanke. For all kinds of reasons, the President's critics should retire the foolish charge that he is a socialist. http://www.pacode.com/secure/data/004/chapter7/subchapKtoc.html. Amazingly, since he has shredded the Code, Governor Corbett has the Governor's Code of Conduct proudly displayed on his official website. The Governor has made a huge mistake by repeatedly violating the Governor's Code of Conduct and his mistake threatens to corrupt the operations of state government, unless immediately corrected. Simply put, if it is permissible for the Governor to take valuable gifts from those doing business with the state, then why is it not permissible for all state employees in the Executive branch to do the same? The Governor can insure the integrity of the Executive branch by issuing a strong statement saying that the Governor's Code of Conduct is in force; that he will follow it; and that he will require all officials and employees in the Executive Branch to do so. He also must payback the gifts taken in violation of the Governor's Code of Conduct. In the case of Mr. Moran who is a large political donor to Corbett and who reportedly also provided a vacation in Newport, Rhode Island to the Governor, other free transportation to Corbett, and a fishing trip to Lieutenant Governor Cawley, the Governor's conduct is especially troubling. http://paindependent.com/2012/12/watchblog-corbett-defends-free-vacation-to-rhode-island-in-2011/. At the time of the gifts to the Governor, Mr. Moran was subject to an investigation by the Pennsylvania Department of Environmental Protection for shipping waste without a permit. The investigation apparently was eventually closed in favor of Mr. Moran. The Governor also appointed Mr. Moran and his wife to official state boards and other important board seats. The Governor and Mr. Moran then traveled to Europe on a trade mission paid for by Team Pennsylvania, of which Governor Corbett had made Mr. Moran the chair. At this point, it's up to Governor Corbett to restore the Governor's Code of Conduct and the integrity of the operations of the Executive branch that he leads. While America's annual average unemployment rate fell by 0.8 percentage points in 2012 compared to 2011, and while this key jobs statistic improved in 46 states during 2012, New York and Pennsylvania did not share in improving times. Instead, New York and Pennsylvania were among just 4 states, where the unemployment rate did not improve over the course of 2012. What explains their bad performance? In Pennsylvania, shale gas drilling has been generating wealth for landowners and about 100,000 direct and indirect jobs since 2007. By contrast, New York has a moratorium on shale gas drilling for now nearly 5 years. The experience of Pennsylvania and New York that have both done poorly over the last two years, one with shale gas drilling and one without, even as the nation's unemployment rate declined significantly, reminds that gas drilling alone is not going to make or break their economies. In truth, no single industry by itself is, not even health care which dwarfs gas drilling. Both New York and Pennsylvania have large populations that need many millions of jobs to be at full employment and that need strong performance from manufacturing, agriculture, tourism, transportation, education, and health care. In fact, Pennsylvania needs 6.5 million jobs. To reach that number, the 100,000 direct and indirect jobs from gas drilling helps and are vital to everyone of the people with one of those jobs. But gas drilling alone has not brought prosperity to all Pennsylvanians and cannot. That is a lesson that Governor Corbett still does not understand. Indeed, he has put all his economic development eggs in the gas basket, while destroying jobs, by hostility or neglect, in education, transportation, health care, wind, solar, energy efficiency, and other industries. The end result of those mistakes is Pennsylvania, despite the gas boom and a falling national unemployment rate, is among the 4 worst performing economies in the nation. The Volt is loved by its owners. In 2011 and 2012, 93% and 92% said they would buy the car again. http://www.csmonitor.com/Business/In-Gear/2012/1129/Chevy-Volt-tops-customer-satisfaction-survey-again. That's according to Consumer Reports who found the Volt leads its customer satisfaction ratings. In fact, in the love your car derby, the Volt edged out the Corvette and Porsche 911.
http://www.bostonglobe.com/business/2013/02/10/chevy-volt-tops-consumer-satisfaction-survey/FgQ9fTlhz9dWaOT6XKUfgP/story.html. That is serious car love. That love produced 60% higher Volt sales in February 2013 than in February 2012. High gasoline prices in February also makes the Volt easy to love. In her Volt, my sister has been averaging over 300 miles traveled per gallon of gasoline consumed. That's a powerful way to cut the fuel bill. Announced in 2012 and recently the recipient of a $1 million grant, The Geisinger Health System's study of fracking has become quickly THE most important health fracking study in the country. Indeed, even before it reports any findings, the Geisinger study is already shaping policy in New York, where Governor Cuomo reportedly backed off a plan to authorize 40 test wells, in order to wait for the first results from the Geisinger study. http://abcnews.go.com/US/wireStory/ap-ny-fracking-held-cuomo-rfk-jr-talk-18636918. Geisinger Health Systems (http://www.geisinger.org/) provides excellent medical care to hundreds of thousands of Pennsylvanians in central Pennsylvania, including in areas where drilling is concentrated. It has patient records for large population groups that live near gas wells or distant from them. Geisinger also conducts medical research and is rigorously scientific. Geisinger received a $1 million grant from a foundation that is not a participant in the shale gas wars. http://www.timesunion.com/news/article/1-million-grant-for-study-of-fracking-4288597.php. Geisinger's study will be the most thorough, rigorous, scientific examination of any possible impacts from the gas drilling process. It will be the best health study of gas drilling and actual patients in the nation. As such, the Geisinger Health System's fracking health study will substantially impact gas drilling regulatory policy. Indeed, as events in New York show, Geisinger's health study is already doing so! A new study that looks at the individual production of 16,000 shale gas wells drilled through mid-2011 in the Barnett shale gas field constitutes a hail of nails in the coffin of the claim that shale gas is a Ponzi scheme. The study finds that the Barnett, the grandfather of shale gas fields, will still be producing in 2030 900 billion cubic feet or about 4% of 2012's record US production. That is still lots of gas seventeen years from now. Indeed, the Bureau of Economic Geology (BEG) at the University of Texas finds that the Barnett will produce another 44 trillion cubic feet, as it slowly declines from its peak production of 2 trillion cubic feet in 2011. And the BEG analysis assumes a modest gas price of just $4 to get that amount of production. 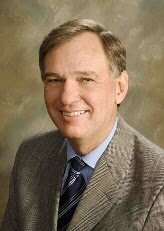 http://www.utexas.edu/news/2013/02/28/new-rigorous-assessment-of-shale-gas-reserves-forecasts-reliable-supply-from-barnett-shale-through-2030/. Presumably, had the study assumed an average price of $6, the projected production levels would have been even higher. BEG also states that it is doing a similar well-by-well study of the Marcellus where BEG will likely confirm that the Marcellus has decades, even generations, of large production volumes ahead, even if one assumes a low long-term average price of $4. Hopefully, the combination of the enormous actual shale production numbers that have now been facts for 10 or more years and increasingly authoritative reserve studies, like BEG's, will end the Ponzi scheme narrative. That narrative has been used to mislead good people. Like it or not, there are massive amounts of shale gas that can be produced even at low, long-term average prices of $4 to $6 per thousand cubic feet. Pennsylvania's terrible economic performance since 2011 is becoming stark and standing out. Although 46 states had a lower average annual unemployment rate in 2012 than in 2011, Pennsylvania is not one of them. http://www.bls.gov/news.release/srgune.nr0.htm. Instead Pennsylvania is one of the 4 struggling, underperforming states whose unemployment rate did not decline or rose in 2012. http://www.bls.gov/news.release/srgune.t01.htm. While 46 states saw their unemployment rates decline in 2012 compared to 2011, Pennsylvania's rate did not improve at all, remaining at 7.9% in 2012 and 2011. Those are the ugly facts for Pennsylvanians. The average annual unemployment rate nationally in 2012 was 0.8% lower than in 2011, a significant year-to-year improvement. Disastrous state budget, education, energy, health care, transportation, and economic development policies pursued in Pennsylvania by the Corbett Administration are overwhelming the positive impacts of both the national economic improvement that pushes unemployment rates down in 46 states and Pennsylvania's gas boom that has created about 100,000 jobs directly and indirectly. Given that terrible economic performance, Governor Corbett has earned his low, low approval ratings. Defeat is an orphan, but victory has many parents. Uncle Sam's remarkable success in cutting carbon emissions since they peaked in 2007 is an environmental victory, but it has triggered a debate about the contribution of the gas boom to the fact of the big US carbon drop. The Breakthrough Institute estimates that both increased non-hydro renewables and gas contributed significantly to the substantial reduction of US carbon emissions from 2007 to 2012. It finds that more gas generation, however, cut carbon emissions by 3 to 10 times more than non-hydro renewables. http://thebreakthrough.org/index.php/debunking-rhodium/. Breakthrough's paper links to a blog post that I also published on this topic. From 2007-2012, coal's generation market share plunged 9 percentage points from about 48% to 37%, as both gas and non-hydro renewables increased their market share but by different amounts. Coal generation's loss was the gain of gas and non-hydro renewables. Non-hydro renewables boosted their generation market share by about 2 percentage points and gas climbed about 8 percentage points. Cheap gas also led to displacement of some oil in power generation, home heating, and transportation. Biofuels, mainly corn ethanol, too also gained market share from oil. The displacement of oil by gas and biofuels also contributed to the decline in carbon emissions. The Breakthrough Institute's analysis of the comparative contributions made by both gas and renewables to the big drop in carbon emissions is worth reading. Yet, the most important point is that US carbon emissions declined substantially from 2007 to 2012, thanks to gas and non-hydro renewables gaining market share, and thanks to growing energy efficiency and conservation. The already changed climate is making itself felt. In New Jersey and New York, the seas that have risen about 11 inches inundated areas previous thought to be well outside flood areas. Insurance costs are rising. Homes once outside flood zones are now in them, as the new Federal Emergency Management Agency flood maps of New York City doubled the number of residential and commercial buildings in flood areas, and the latest maps don't even include all areas flooded by Sandy. In Texas, record heat and drought (climate models years ago predicted increased drought in Texas) are taking a toll. For example, the New York Times reports that a beef processing plant will close, because the drought makes it impossible to keep an adequate regional cattle herd. The plant had operated for "generations," and its closing will kill a $55 million annual payroll and 2,300 jobs. In New Jersey, an electric utility is investing $3.9 billion to harden the grid from extreme storms and rising seas, concluding that stronger storms are the new normal. Paying $3.9 billion for a harden grid is expensive but a better option than sitting in the dark and cold for days, weeks, and months. From Texas to New Jersey, the already changed climate is making itself felt.